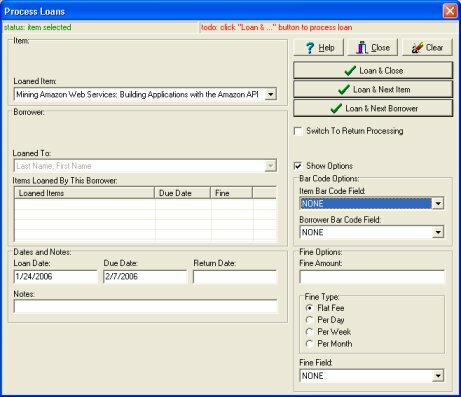 Quickly perform check in and check out trasactions using loan field. 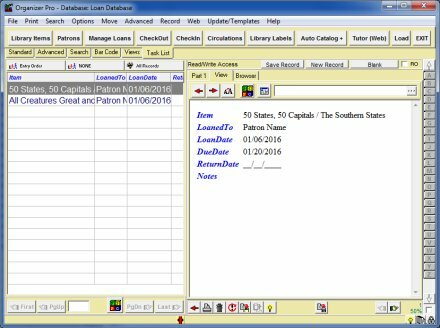 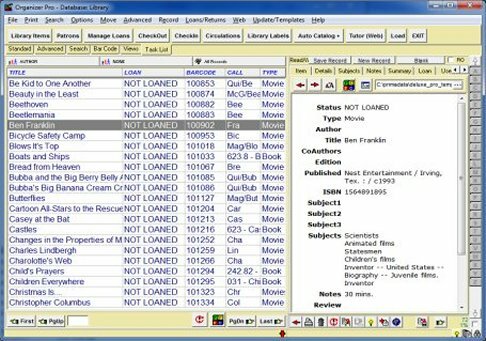 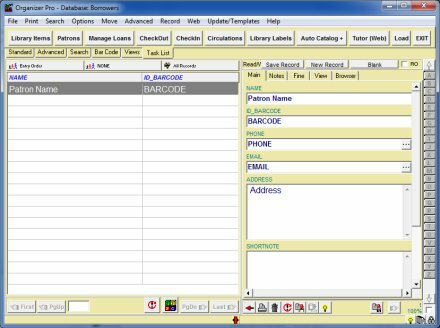 Library loan window: supports manual and barcode check in and check out transactions. 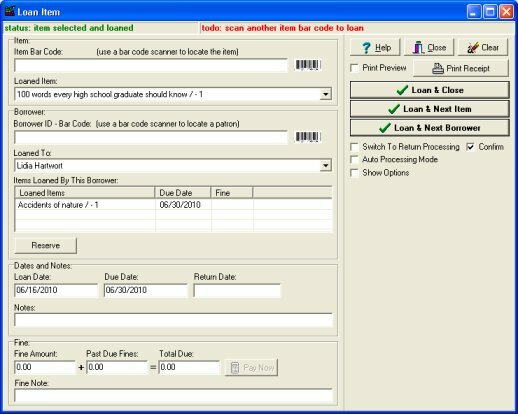 Define bar code and fine functionality. 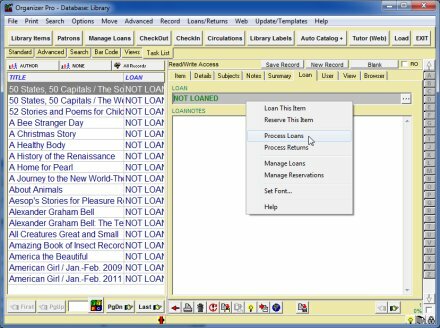 Circulation database: view, search check in/check out transactions.